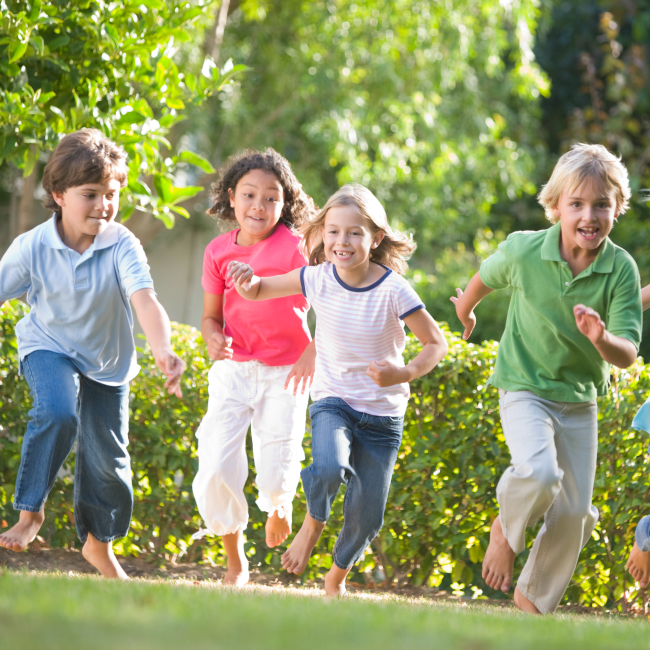 Some of my fondest childhood memories were playing games outside with friends after school, or during summer camp. The simplest games were always the most fun too! 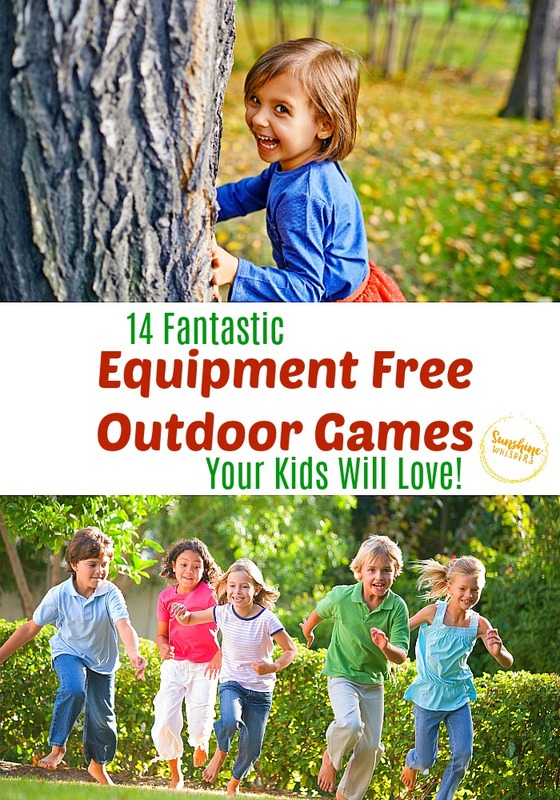 You don’t need fancy equipment, or even a ball, to play some of the most fun outdoor games for kids. These 14 games can be played pretty much anywhere and none of them require a stitch of equipment. 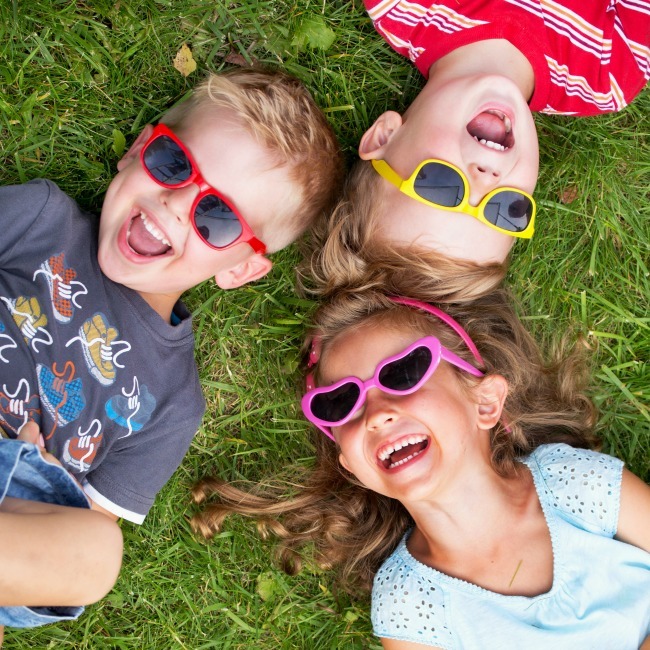 Even better, getting outside and playing games like these games improves health, gets kids away from screens, promotes social skills, improves attention span, and super charges creativity! Kids take turns asking Mother if they can move forward using a pre-determined step. 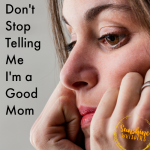 They would say, ‘Mother, may I take 3 giant steps forward?’ (the number and type of step are up to the kid) At which point ‘Mother’ says yes or no. 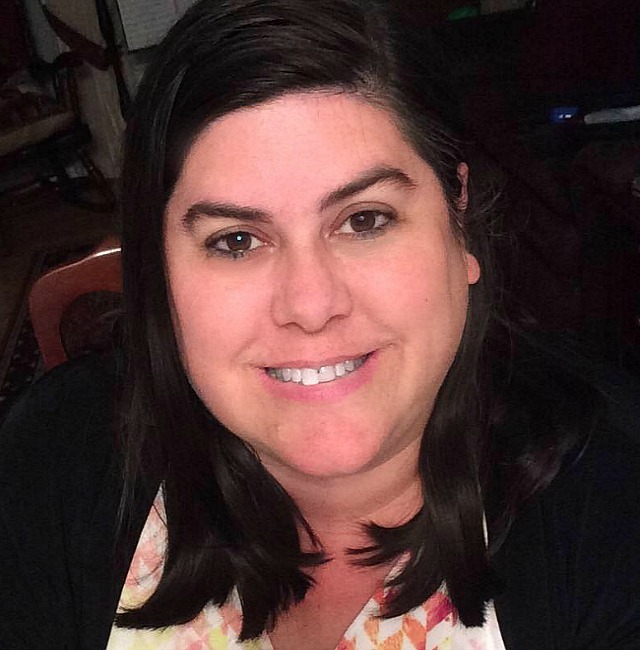 Mother picks a kid and tells them, ‘You may take 3 giant steps forward (or something like that),’ to which the picked kid replies, ‘Mother, may I take 3 giant steps forward?’ If the picked kid forgets to say ‘Mother, May I?’ they go back to the start line. The different kinds of steps kids or Mother may use could be anything really. Some favorites are giant steps, regular steps, baby steps (kids hate this one! ), skips, jumps, scissor step, monster step, ballet twirl, or bunny step. The first player to reach Mother wins (and is usually Mother for the next round of play)! Super easy concept. One person is ‘it.’ Everyone else is not ‘it.’ The person who is ‘it’ chases everyone else and whoever gets tagged (touched) becomes ‘it.’ This game can spoil quickly without a few ground rules though. You can also designate one area as a safe zone. If kids being chased are in the safe zone they can’t be tagged. But, have a time limit of about 10 second, and probably limit the number of players who can be in the safe zone at the same time. Once ‘it’ tags a player, the tagged player is now ‘it.’ They should yell loudly that they are it so everyone knows.. and the game resumes. Flashlight tag: Same concept but instead of tagging someone by touching them, ‘it’ tags them with the light from the flashlight. This is a great game to play at night in an open field. Freeze tag: Instead of the tagged person becoming it, instead they are frozen to the spot where they are tagged. Play continues until only one person is left un-tagged. That person becomes ‘it’ in the next round. TV Tag is a fun version of Tag. You could also do ‘movie tag,’ or ‘cartoon character tag,’ or whatever theme you like. The point is that kids have to be creative in coming up with answers. This is a great form of unstructured brainstorming! Basically, to avoid being tagged, you have to shout out a TV show when ‘it’ gets close. Here is the catch though… players can’t use the same TV show twice. So, if someone already shouted ‘Paw Patrol,’ that show is off the table until the next round. For Hospital Tag designate a much smaller play area. For instance, instead of an entire field, maybe an end-zone or half a basketball court. You want kids bumping into each other for this game. Wherever they are tagged, the player has to put one hand on that ‘wound’-ed place. The next time they are tagged, hand #2 has to be put on the second ‘wound’ed place. This could get pretty funny if one hand is on a leg and the other on their back or something. The third time a player is tagged, they are out and have to move outside the area of play. This would be a great game to play with a larger group of kids. Note: adult supervision is definitely recommended so that kids don’t get carried away and hurt each other. Divide the kids into two even groups and have them stand about 30 ft. apart from each other in a line with hands or arms linked together. The two lines face each other. The game starts when the first team calls a player out, by saying or singing the line, “Red rover, red rover, send [player on opposite team] right over”, or “Red rover, red rover, let [player on opposite team] come over”. Then, the player who was called runs to the other team with the goal of breaking the chain formed by that team’s arms. If they do not succeed in breaking the chain, that player joins the opposite team. If they succeed in breaking the chain, the runner gets to pick one of the two players, whose arms they ran through, to join their team. The game ends when one team has all the players. ***Note*** This game has the potential to get too aggressive. Adult supervision is a must to ensure kids are not being too rough with charging the opposite team or holding arms so tightly that it hurts the player who is running. There are two versions of this super fun game: Wink Murder and Murder Handshake. You probably need at least 6 kids to play this game, but it is a super easy game to play and loads of fun! The object of the game is for the ‘murderer’ to ‘kill’ as many players as they can before being caught. Or, for everyone else the object of the game is to not get caught AND figure out who the murderer is. All the kids sit in a circle with their eyes closed and the ‘selector’ (usually an adult because this person sits out the game) walks around the circle two times and selects one player quietly by patting them on the head or the back of the neck. Once the ‘murderer’ is selected, the players are told to open their eyes, get up, and the game begins! 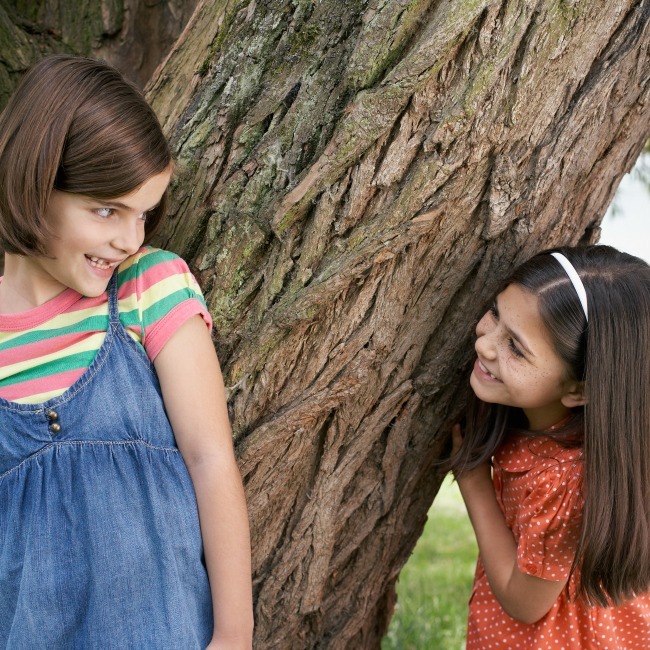 In Wink Murder, all players walk around and look at each other in the eye. The murderer will wink stealthily at a player to kill them. The player who was ‘killed’ then must silently count to 5 and then pretend to die by lying on the ground or leaving the playing area. In Murder Handshake, players shake hands with each other and the murderer uses their pointer finger to scratch the palm of each player to kill them. Again, players who get killed must silently count to 5 before pretending to die. When a player suspects another player is the murderer, they yell, ‘I accuse!’ The game temporarily stops and the accuser announces the suspect. If they are correct, they win the game. 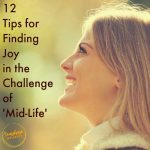 If they are wrong, they immediately die and have to leave the area of play. Players cannot talk with other players about who they think the murderer is. Players who are not the murderer cannot wink or give the scratch handshake. The murderer (if they want to be super sneaky) does not have to wink or scratch the hand of everyone they encounter. They can use strategy to prolong the mystery. This is a classic outdoor game that is great for larger groups. Of course, if you have props use them.. but you don’t need any equipment to have a great game! Split the group of kids into two equal teams (equal in number and ideally skill level). Each team lines up behind a start line. When you tell START, each member of the team runs to the designated turn around point and back to START. When they reach START, they tag the next player from their team and that player runs up and back, tagging the next team member until everyone has cycled through the race. The first team to cycle through everyone wins! You don’t have to stick with just running either. Another classic kid’s game! The basic premise is that one player is ‘it.’ It closes their eyes and counts to a predetermined number (100 is a good baseline for outdoor play). When they finish counting, their job is to find everyone hiding. As they find the other players, those players are out. The last player to be found is the winner of that round. Related: These scavenger hunts would be great for a playground play date too! 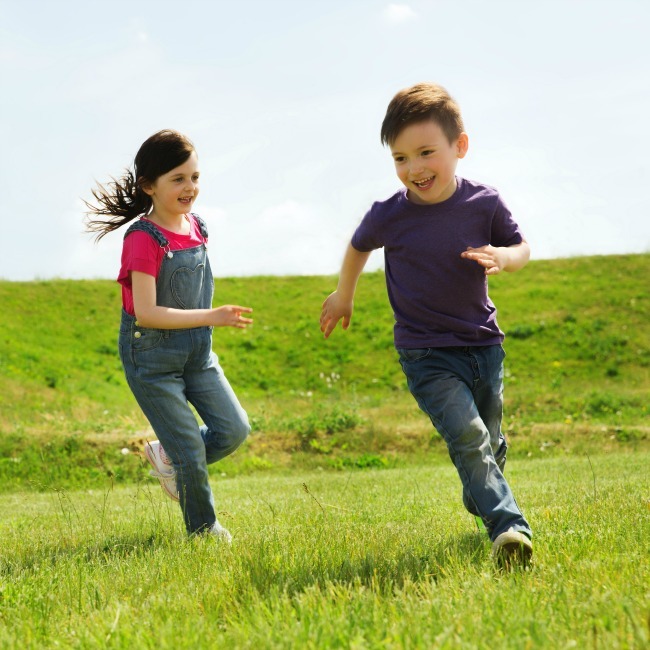 Have a clearly designated area of play and make sure the kids know that if they hide or go outside that area of play they are automatically disqualified. Make sure the area you choose to play actually has places to hide. In other words, a soccer field is likely not an ideal Hide and Seek playing area. But also pick a play area that is safe. Ideally an enclosed park or playground is a safe bet. Take into account the ages of your kids. If you don’t think the kids are mature enough to understand and obey the safety rules, play something else. Never pick an area where kids can get stuck, trapped, or fall. Also, be wary of play areas that include things where kids could get latched in or locked in and can’t get out (like a trunk, car, etc…). Sardines is Hide and Seek in reverse. In this game, ‘it’ hides and all the other players try to find ‘it.’ Once a player finds ‘it,’ they silently hide together until everyone is hiding and only one person remains. The last player standing becomes ‘it’ in the next round of play! This is a game that can be played with as little as 3 players. 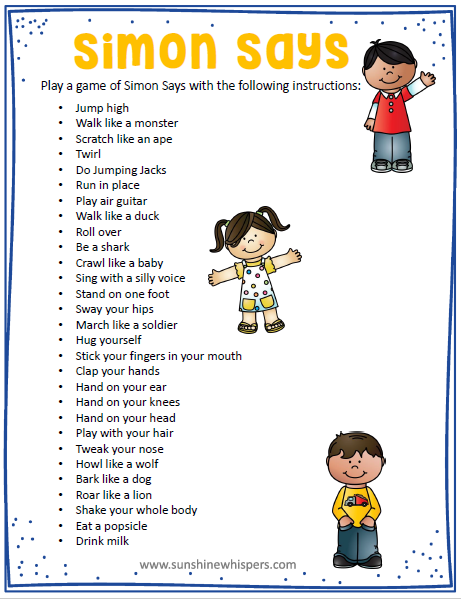 One player takes the role of Simon and gives the other players instructions for things to do (see the photo below for some examples). Here is the trick though. Simon has to preface the instructions by saying ‘Simon Says,’ or the instruction is not valid. For example: ‘Simon says pat your head,’ is valid but if Simon just said, ‘Pat your head,’ that is not valid. This game is great for kids of all ages and can get really challenging the faster Simon gives the instructions. The last person to be eliminated is the winner. If 2 players remain and they are eliminated at the same time, Simon is the winner. Another classic game for kids. This game is actually great for even young kids (as long as they can run). All players except one sit in a circle (facing the inside of the circle). To be fair you will want to remind kids to sit on their bottoms, not knees.. and definitely not crouching. Then the person who is ‘it’ runs around the circle and the Goose has to get up and chase them around the circle. It has to make it back to the empty spot in the circle before they are tagged. If the Goose does not catch ‘It,’ they become ‘It’ and the game continues. If the Goose does catch ‘It,’ ‘It’ must sit in the center of the circle until someone else loses their race. 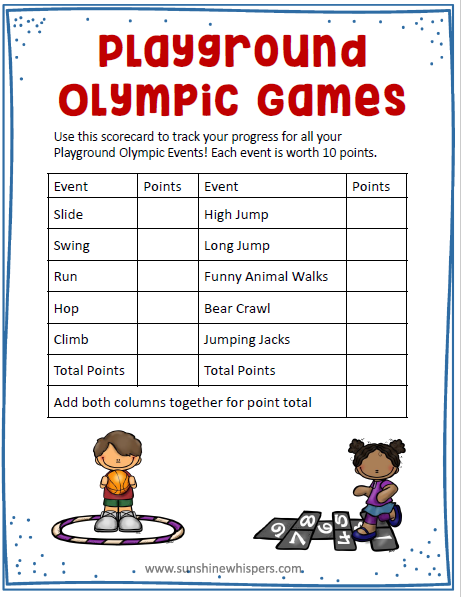 Related: Use this Playground Scorecard to keep track of all the playgrounds you try out! This game is so simple and so much fun! I remember playing it at the bus stop when I was a kid. You need at least 3 players, but more players equals more fun! One player is chosen to be the traffic light (it). They stand a good distance away from the other players (at least 20-30 ft away) and turn their back to the other players. The traffic light shouts ‘Green Light’ and the other players run toward the traffic light player. The traffic light player then randomly shouts ‘Red Light’ and spins around. All the players must freeze on the spot. If the traffic light catches any movement, the traffic light player send that person to the start line. The frozen players must remain frozen until they hear ‘Green Light’! The first player to reach the traffic light wins the round and becomes the traffic light for the next round of play. The leader is chosen to be the head of the line. All the rest of the players line up behind the leader. The leader moves around the field of play doing various actions (flapping arms, marching, spinning, etc…). The rest of the line must mimic what the leader does. Anyone who doesn’t is out. The last player to remain in line with the leader is leader for the next round. Non-Competitive alternative: Another version of this game is just to have the leader move around and do various actions that the followers have to mimic. But instead of players getting out, they just try their best. After a few minutes the next player in line becomes the leader and the leader rejoins the line. This continues until every kid has a chance to be the leader. This is a great game that you can play with your kids, even if there is only 1 kid! Basically, you are trying to earn as many points possible. Mom and Dad can figure out what the prize is (ice cream anyone?!!) and kids do the activities to earn points. Speaking of contests, why not have a family challenge to see how many playgrounds you can discover and play at this year! 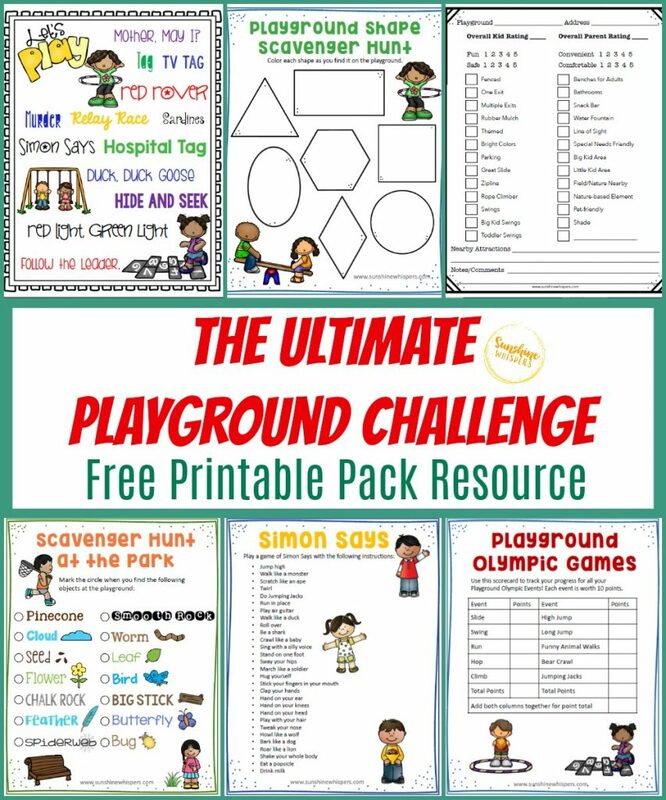 To help you out, I created this awesome Playground Challenge Printable Pack. It is FREE for subscribers. If you want to download all 6 of these super cute printables, just click the photo below, sign up and you are on your way to loads of family fun! 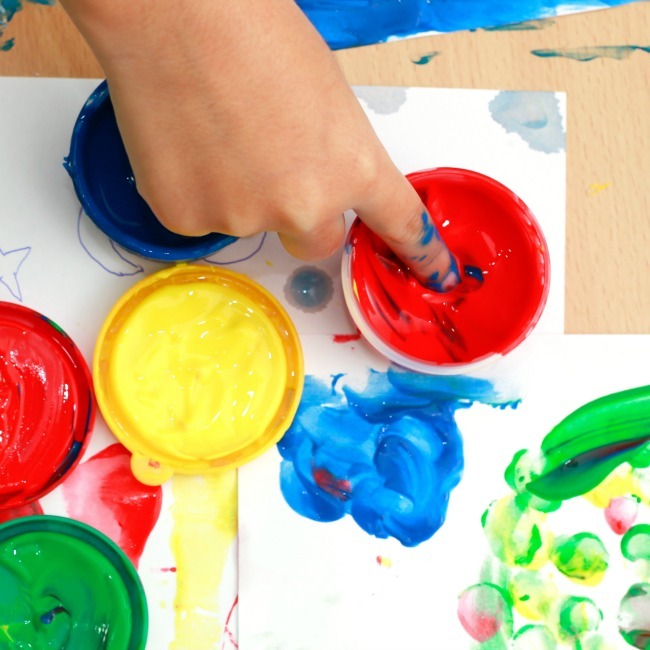 Previous Post: « 25 Super Fun Earth Day Crafts Kids Will Love!